DVD contains 38 minutes of exclusive Bonus Features! 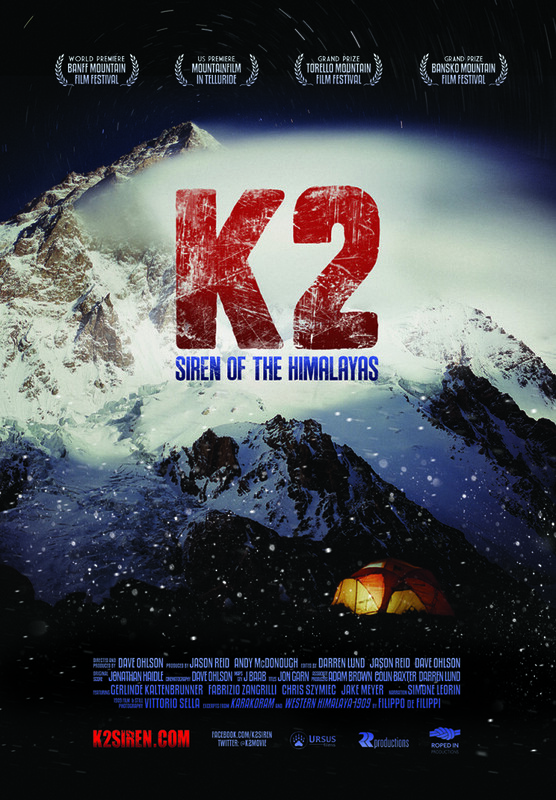 K2: SIREN OF THE HIMALAYAS is a feature documentary showing the adventure, peril, teamwork and serenity of a mountaineering group’s attempt to summit the world’s most challenging peak. Director Dave Ohlson joins this group’s attempt to summit K2 on the 100-year anniversary of the Duke of Abruzzi’s landmark K2 expedition in 1909. The documentary examines the history and geography of the Karakoram mountains while contemplating the risks, rewards and personal nature of exploration in an age when there are few blank spots left on the map. All content copyright K2 Siren, LLC. (c) 2015 All Rights Reserved.